David Starobin's series of 'New Music with Guitar' began in 1981 with the issue of an LP of premieres by Henze, Kolb, Bland and Wuorinen. 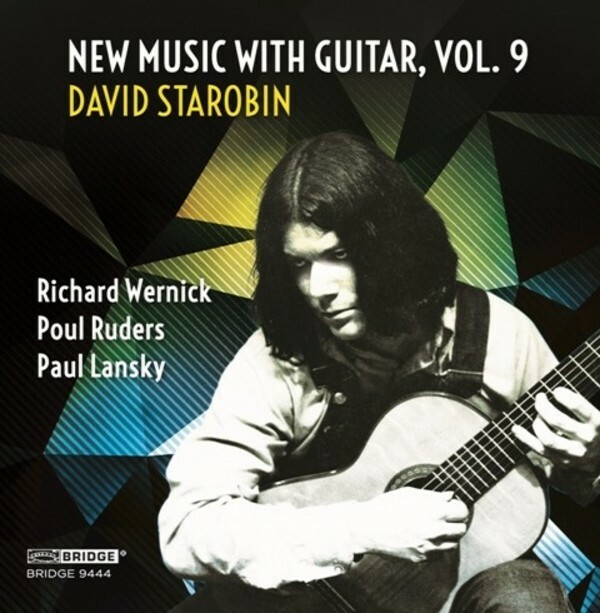 The present volume, issued 34 years later, contains a recent chamber work, a concerto for guitar and chamber ensemble, and a concerto for guitar and orchestra, joining more than 150 recordings of contemporary guitar pieces in Starobin's discography. His close relationship with dozens of leading composers has done much to develop an impressive body of work, and such is the esteem in which his work is held, that Soundboard magazine, the official organ of the Guitar Foundation of America, called him �arguably the most influential American classical guitarist of the 20th Century�.